In the spirit of the Smithsonian Museums, which offer free admission every day, Museum Day Live! 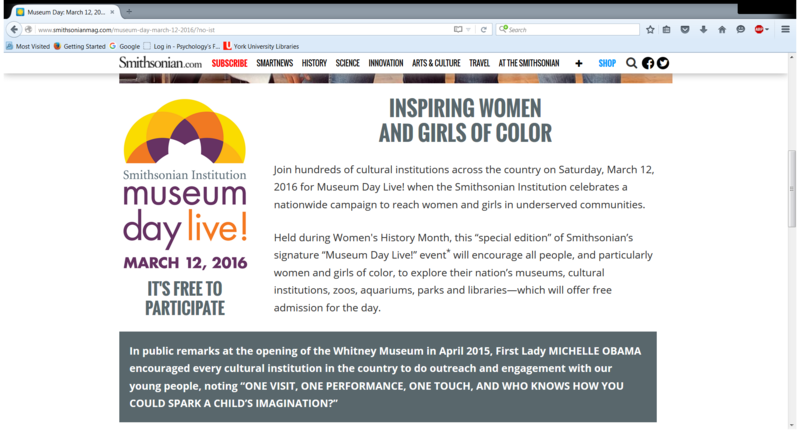 is an annual event hosted by Smithsonian magazine in which participating museums across the country open their doors to anyone presenting a Museum Day Live! ticketâ€¦ for free. We’ve compiled a list of exhibitions by region so you can see what is happening at Smithsonian Affiliates during Museum Day. Download your ticket today! 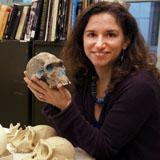 Click here to view the complete list of Smithsonian Affiliates participating this year. 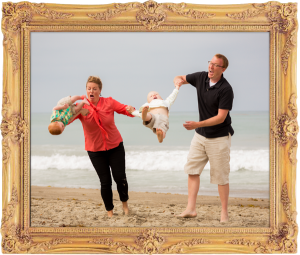 Augustine at 450: A Look at the OldestÂ EuropeanÂ Settlement in the U.S.
“Awkward Family Photos” at Peoria Riverfront Museum. 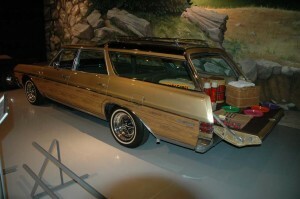 Businessman First: Remembering Henry G. Parks, Jr.
“A Family Affair: Station Wagons” at AACA. 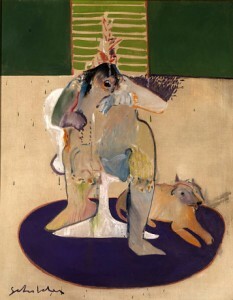 Fritz Scholder (1937-2005); “Indian and Contemporary Chair;” oil on linen; 1970; Smithsonian American Art Msueum, Gift of Judge and mrs. Oliver Seth. On view at the Denver Art museum. Simone, 7th Grade, Indian Township School. Part of Youth Capture the Colorful Cosmos at the Abbe Museum. “Home Field Advantage” at the Anchorage Museum. More than half of our 194 Smithsonian Affiliates participate in Smithsonian Magazine Museum Day Live, an annual program which will take place this year on September 27th. 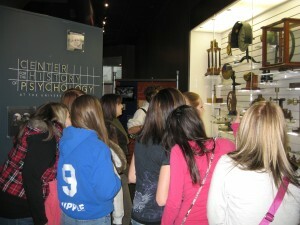 Â If you haven’t registered yet, please email:Â museumday@si.edu. Many of those Affiliates offer the Smithsonian Affiliate Membership Program as a benefit to their museum members. Â This year, we’re launching a Smithsonian Membership Drive in the month of September to provide Affiliates with ways to add new members to their membership programs. Â We hope the following toolbox will help you turn visitors into new members! Host an open house or behind-the-scenes tour of your collections and end the tour with a table with membership materials and staff to help visitors sign up. Highlight artifacts on loan from the Smithsonian: we can help with language and images- use this information in an enewsletter with the Smithsonian Affiliate logo identifying your organization as a Smithsonian Affiliate. 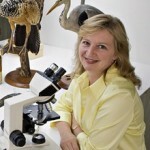 Â Include a link to how they can become dual members of the Smithsonian and your organization. Screen Smithsonian Channel programming at an evening event; we can send free Smithsonian Magazines that you can give away Â to visitors who sign up for membership. Tap into a different audience with a Scavenger Hunt, complete with Smithsonian objects that have been 3D printed. Â Learn more here. Set up a photo booth for new members to take a picture and use a Smithsonian Affiliate hashtag to share on social media. Â On Museum Day, share these on a backdrop #smithsonianaffiliate or #museumdaylive ! Use our new Smithsonian Affiliate Membership Program logo on your materials. Â Contact us to get the files. We will send out a Smithsonian souvenir prize package to each Smithsonian Affiliate that sells more than 50 Smithsonian dual memberships during September. Â If you sell more than any other Affiliate, your organization will receive a special program courtesy of Smithsonian Affiliations! Would you like to chat? Â In the next two weeks, Smithsonian Affiliations staff will be setting up regional calls to discuss details for the Smithsonian Affiliate Membership Drive Month. Â We will follow up with an eAlert with dates and times. For more information on the program and the membership, please contact your National Outreach Manager, or Christina DiMeglio Lopez, dimeglioc@si.edu. Special thanks to Monica Reardon, Smithsonian Affiliations summer intern, for authoring the 2013 SmithsonianÂ #MuseumDayLive! blog series. The Peoria Riverfront Museum, located in Peoria, Illinois, focuses on interdisciplinary learning, ranging from art to science to history and then some.Â The space includes a planetarium, a sculpture garden, art studios, gallery spaces, and more.Â The museum even has a â€œGreen Tour,â€ which showcases the museumâ€™s sustainable aspects.Â Most importantly, it plays a role in the community it is in. 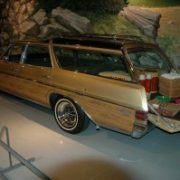 “Old Betsy” at the Peoria Riverfront Museum. 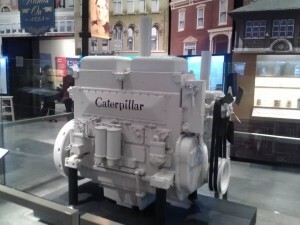 In fact, this Affiliate found a piece of its own communityâ€™s history at the Smithsonianâ€™s National Museum of American History.Â â€œOld Betsy,â€ a 1931 prototype of the first diesel engine mass-produced by Caterpillar, Inc. was brought back to Peoria.Â The engine is now an iconic object in the museumâ€™s display of local history, and in the telling of the story of local manufacturing and innovation.Â On loan to the museum since 2012, visitors during Smithsonian Magazine Museum Day Live! 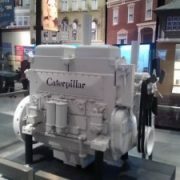 can get a close-up look at the 3,500 pound â€œOld Betsy,â€ officially called Caterpillar Diesel Engine No. 1. Is the Smithsonian in your neighborhood? Find out which other Affiliates are participating in #MuseumDayLive on September 28, 2013, here. 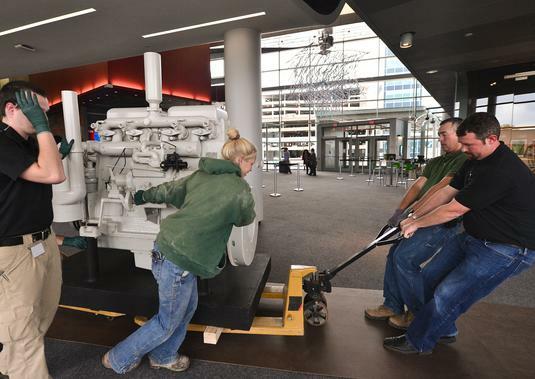 “Old Betsy” arrives at the Peoria Riverfront Museum.